Let’s get this out of the way at the beginning: Carolina was not Walter Egerton’s first choice for college. Nor was it his second. He had the chance to enroll in Morehouse College at the end of his junior year in high school, but his father said the then-16-year-old wasn’t ready. The next year, N.C. A&T offered him its full-ride Presidential Scholarship. UNC countered with a James M. Johnston Scholarship. Walt was all set to accept N.C. A&T’s offer until his teachers pulled him aside and said he had to go to Carolina. Back in 1970, doors were just beginning to open up to diversity. If you have the opportunity to go to Carolina, his teachers told him, you need to go. So he became a Tar Heel. “Best decision I ever made, other than marrying my wife,” Walt said, demonstrating that he not only is exceptionally smart but exercises good judgment, too. Which may be why his friends’ parents trusted him to the point that he became the living, breathing ticket to any party, as well as the designated driver. As long as “that Egerton boy” was going, parents gave their permission for their own teens to go. Walt’s true mettle revealed itself during his senior year in high school. In 1971, Wake County finally merged its public high schools, and Walt and a small group of friends transferred from the predominantly black Ligon High School to the predominantly white Broughton High. Up until that point, he’d lived his life in a monolithic environment in Raleigh’s black community. Now he had to establish his place in a new high school, amid tensions of race and cultural change, during the year his father fell ill and died. Yet Walt stayed the course, focused on his goal of becoming a physician, maintained his stellar GPA and applied to colleges. Students at UNC in the mid-1970s served as a bridge between the Black Pioneers and the diversity Carolina enjoys today, Walt said. They integrated all of the activities more completely. Walt brought his tuba with him to play in the Marching Tar Heels and the Pep Band, and he instituted a move traditional to historically black colleges — he twirled his tuba over his head as the band marched off the field after halftime shows. A charter member of Omega Psi Phi, the first African-American Greek letter organization on campus, Walt also sang in the BSM Gospel Choir, all the while keeping up his high GPA. He spent his junior year abroad at the University of Cairo. Walt stayed in Chapel Hill for medical school, accepting an Army scholarship that would pay his tuition in exchange for a period of military service. He surprised his friends when he chose to make a career in the Army Medical Corps. He specialized in pediatrics, concentrating on adolescents. The Army sent Walt to Germany — fortuitously, he’d studied German as early as high school because it was the “language of medicine” — and he became assistant chief of pediatrics at the military hospital in Augsburg. For several years, he served at the U.S. Military Academy at West Point, first as medical director, then chief medical officer. 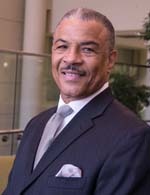 He continued to rise through the ranks, ultimately serving as CEO and commander of the Army Health Clinic at Aberdeen Proving Ground in Maryland. Walt separated from the military after 23 years, taking on increasingly high-responsibility clinical and administrative positions as a civilian. Currently, he is chief medical officer for Maryland General Hospital in Baltimore. While in the military, Walt received numerous honors, including the Legion of Merit and the Meritorious Service Medal, each with an Oak Leaf Cluster. Omega Psi Phi named him its Phi Nu Chapter Man of the Year. He serves on the board of a private school in Maryland and has held leadership roles in his church. He has even appeared on Broadway. He and his wife, Deborah, had orchestra seats for a performance of Motown the Musical in New York last year, and the show’s star plucked him at random from the audience to join her onstage to sing, not knowing about his beautiful voice. When he finished his part, the crowd roared its approval. Yet another way that Walt makes Carolina proud.